"We have started to witness wonderful changes already in the area of prosperity. We are taking everything seriously and following Carol's suggestions to a tee. Carol demonstrates her expertise with 4 C's...clear, concise, calm and courteous. We loved working with her. We highly recommend Carol for anyone who is interested in creating good vibes and harmony in their environment." I met Carol in the mid ‘90’s, when I had one of my early oceanfront spec homes on the market. It had been on the market for longer than usual. Always open to new marketing initiatives, I learned of Carol and called and asked her to come to see if there was anything that might be hindering a sale. Honestly, I was not sure what I was getting into and was even a bit apprehensive, to my delight, Carol provided a detailed list of easily accomplishable changes to make. I followed through with her recommendations, and a short time later the house was sold! This started my wife Nilsa’s and my relationship with Carol who consulted with us on several of our oceanfront creations afterwards, including our personal home. 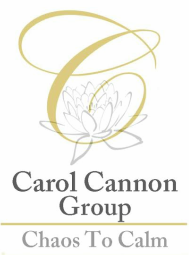 Carol is a professional who makes the Feng Shui process clear to understand, with simple steps to adjust the surroundings, which results in a more peaceful, harmonious and success filled environment. I highly recommend anyone contact Carol for an analysis of their real estate – she’ll help you set the stage to accomplish your goals. - Frank McKinney, real estate “artist” and 5x best-selling author, www.frank-mckinney.com. I would like to take this opportunity to recommend Carol Cannon. I have had the pleasure of working with her on two projects. The first project was a large classroom and lab building for the College of Nursing at Florida Atlantic University, and the second was a smaller Alternative Treatment Center in Naples, Florida. It was the desire of both projects to be designed in accordance with Feng Shui principles, as well as achieve LEED certification. Since her role on both projects was Feng Shui consultant, and my role was LEED consultant, we worked together closely. Her contributions to both projects were substantial. Carol is easy-going and fun to work with. She is a team player and very much understands the complexities of a project and the competing goals that often surface. She is able to effectively communicate Feng Shui principles and analyses, and is willing to adapt to the project priorities when necessary. She knows her business, and conducts herself with integrity and professionalism. Carol Cannon would be a great asset on any project. Health Care Law in Delray Beach, FL. "Often people remark on how good it feels to be in the offices of our publishing house and in our new retail environments. I attribute a good part of that to Carol Cannon's work. We consult with Carol for many of our building and organizational needs and have learned to rely on her expertise. Carol's very important in the development of our companies." HCI Books, and Reading Etc. "My CFO was making fun of me. But soon he said 'this must work.' We've grown from three people to 300 since I first met Carol. We've got 4 offices in the US and 4 international offices." I.A. Rozen & Associates, LTD.
"Carol has worked on both my home and office. The results have been fantastic! My home has a peacefulness that was lacking; and my office is a far more enjoyable place." September 23, 2015 Even Dogs Love Himalayan Singing Bowls! Click here to read about Kathleen McGinley & her dogs' experience! Today, I attended my first Himalayan Singing Bowl Meditation presented by Carol Cannon. Everyone else relaxed on the floor as the vibrations soothed them into a state of deep relaxation, healing and the occasional snore. Somehow, I sensed that I would not be joining them…and sat upright on a chair near the back of the darkened room as the meditation began. At first, I saw a blue star explode in front of me against the dark velvet black expanse of deep space. Standing on a wooden platform out in space, I looked down and noticed the Earth spinning near my right foot. An invisible membrane bubbled out from the light-colored wood platform I stood on; it protected me from the cold, dark, air-less grip of space while allowing an unobstructed 360 degree view all around me. Next, three metallic-looking spacecraft approached the platform or “docking station” that I stood on. The looked like upside down pie plates and each rang with a different tone. They seemed to shimmer out in the darkness of space as I watched and heard them come closer. The number 144,000 came to mind as I watched them gather themselves up and walk towards me. Other colored light beings now joined the blue ones of which I was a part. Every color of the rainbow representing many races of light beings milled towards the blue light beings. They warmly greeted each other. As I turned back towards the toning spaceships, the bubble-like membrane extended out to the first metallic ship and a walkway formed at the base. Immediately, a steel door opened into the craft; and, since I was first in line, I walked through the open door. I wondered how all of us would fit in these crafts, which did not look large enough to carry 144,000 beings! Once inside the door, the answer became apparent. What looked like a space ship was actually an inter-dimensional doorway. We stood on the side of a mountain and watched as 2 suns and a moon rose into a blue sky. And there were clouds mixed in the sky, and every color and hue peeked out from between the clouds and sun. As the other light beings came through the doorway, I noticed they carried with them various examples of life on earth. They brought trees, plants, waterfalls, an ocean, rocks, animals, bees, animals, and on and on! As the item entered the new dimension, it became a living part of that new dimension in the blink of an eye. When the last of the light beings came through the doorway, I realized that they belonged to other places and not all to the beautiful planet we now stood upon. In time, they would return to their place of origin. But, first, there was something else that we had agreed to do. Everyone stood together in a circle in a meadow on the side of the mountain. The center of the circle moved outwards as the Light of Pure Source lit up the center of the circle. A dark area appeared at the heart of the circle and we could all see the illuminated earth spinning below us. The size of the earth grew as we stepped back to the outer most band of the circle we had created. We all cheered! I suddenly knew why we had forgotten our true selves and became “human” spending lifetimes walking upon the earth. Our light bodies now resembled the human bodies we occupied while on earth. We were new life forms…part human, part light being! We could now go back to the earth, with full knowledge of who we were, and continue to assist humanity through its own evolution to human/light being! We had experienced what it was to be human and now we could help even more than before. And so, the earth became the size of a small building spinning in the center of our circle. Some chose to return to the earth from that circle; while others chose to return to their home worlds for a time. I returned to earth and found that those with a significant amount of light in their souls could indeed see and converse with me. At this point, the meditation ended and I returned to the room. Submitted by P.J. "Carol has worked hard with our CPA to take a poorly organized set of books, reconcile past records & develop a much better system going forward to support our mission. She is very professional, has saved us money. In my opinion, her services are worth every penny,"
Click here for more information about Carol on the QuickBooks Pro Advisor site! Carol Cannon is a member of my church "Unity of Lehigh Valley". I am currently the Office Administrator. Carol has provided assistance to me when using QuickBooks. She is very knowledgeable and has taken interest in teaching me some items that I was not familiar with. Her assistance has enabled me to be more efficient in my office duties. Carol is very helpful and a pleasure to work with. I have dealt with Carol both on a personal level and a professional level. Carol worked for a furniture store where I went to purchase some items. She was patient and took all the time needed for me to find exactly what I was looking for. It was a real pleasure to deal with such a genuine kind and helpful person. I am highly recommending Carol for employment to your company. American Express and Visa accounts and all receipts. In addition to her outstanding skills, Carol is a pleasure and a delight. She is an asset to our organization. Carol has our full support and we wish her nothing but continued success in her career. - "A great way to rejuvenate your practice." - "Peace is within. Learn the path to a fuller life!" - "No matter what thoughts or concerns are on your mind or heart, you will benefit from spending this mindful time with Bhante." - "You will feel better, physically, and, about the world." - "Wisdom, connection, relaxation, Truth, loving community, nourishing food." - "You are love, and this helps you tap in to that which you feel blind to."